You are here: Home > Blog > Energy, sustainability & economics > Woodlands, climate and robustness. Though we cannot say how climate will change in any specific area with certainty, we can be sure that extreme weather events will become more common - droughts, heat waves, heavy rainfall, high winds and cyclones. Different woodlands will be affected by climate change in different ways but it is thought that those in the U.K might be less affected than those in the Mediterranean or those of Boreal Regions. 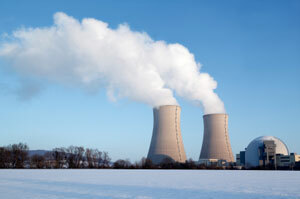 The increased levels of carbon dioxide may increase growth rates, as may an increase in temperature. However, extreme and unpredictable events (drought, fire, flooding etc) are likely to have the greatest impact. Trees stressed by drought are more susceptible to attack by pests or indeed disease. 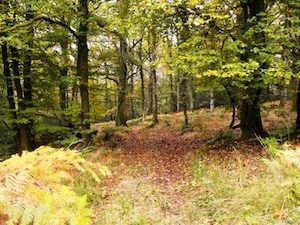 The U.K. is fortunate in that it has many leading researchers in the area of climate change - for example, see the reports of M. Broadmeadow on the possible impacts of climate change in woodlands by 2050 / 2080. One of their thoughts is that some native broadleaved species may struggle - specifically, beech in Southern England. The table below shows some of the possible effects of climate change and strategies to increase what might be termed Robustness or resilience. though some (pyrophytes) have adapted to tolerate or even use fire in seed dispersal Build in fire breaks and resilient species. Wind Damage to shape and form, distorted growth, uprooting Use of Shelterbelts ? Robustness is a term that is being applied to various strategies associated with climate change and woodlands (links to and opens a pdf). It is all about creating an ecosystem that can adapt to, or resist, change. 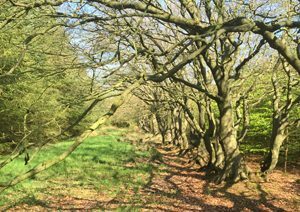 One important consideration in this respect is the creation of woodland that is diverse in terms of its species composition, and its structure. Whilst it is good to plant native trees (of local provenance), it is also important to source some from further afield - where the climate might be warmer / drier etc. It might also be wise to include some non-native trees that might be able to grow better in a warmer climate. Others that have been suggested are Sweet Chestnut, Oriental Beech, Walnuts, Hop Hornbean, True Service tree, Monterey Pine and various Oaks (Q. rubra, pubescens). Some like the Mediterranean Cypress might be useful in creating wind and / or firebreaks. It is also important to give thought to matching the tree species to the site - the slope, elevation etc. 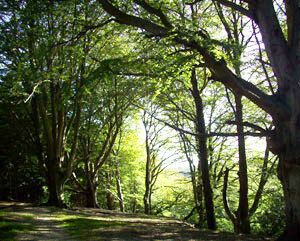 For example, it would be wise to avoid planting beech on hill tops or south facing slopes. Ash and walnut will probably prosper where the soil moisture content is good, on lower slopes or a valley bottom. How are owners and woodland managers responding to climate change?